This is a free pattern from Lion Brand and the instructions are a bit different since it breaks up the pattern into panels and then at the end actually tells you how to crochet everything under the title “AFGHAN”. I didn’t read the whole thing through and had some issues to begin with. I decided to crochet this with a size H hook (the instructions say to use a size I). This made my afghan a bit short so I decided to add an additional row of flowers. I can’t remember how many skeins I used but it was around 8 or 9. It ended up being 36″ x 51″. This is about the size I need for the ministry I am donating it to. 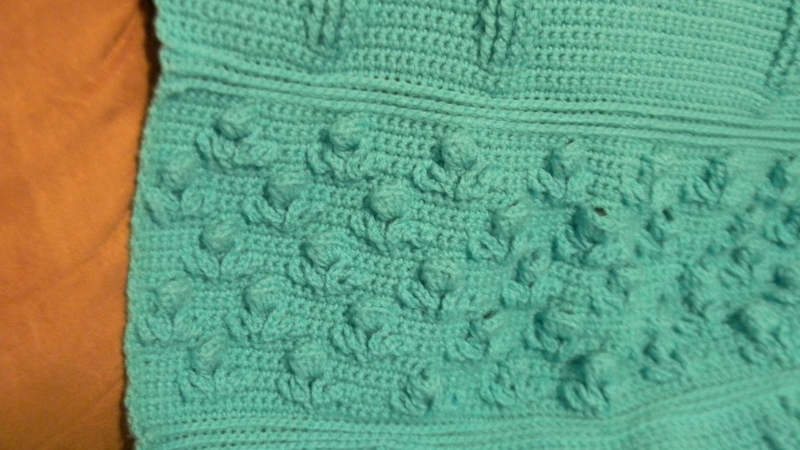 When crocheting this you will notice that the top gets a bit wavy but if you follow the design it will work itself out. 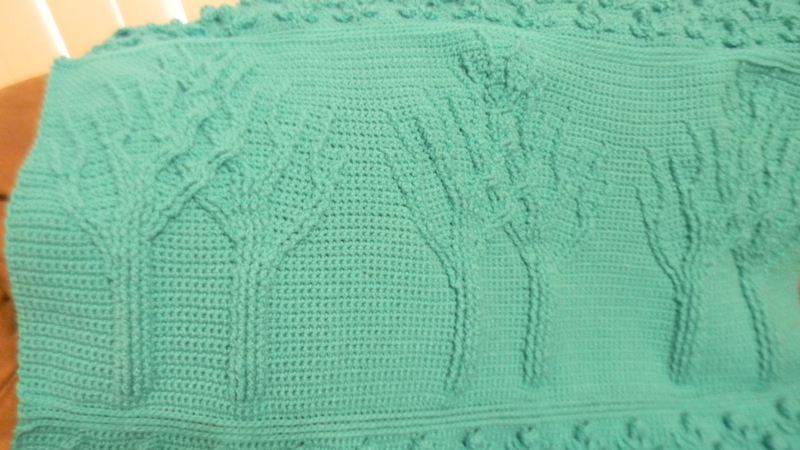 I really like the finished design but it is a something that you really have to pay attention to as each row of the tree panel is different from the previous one. I used a sticky note to mark each row I did which was a big help. I didn’t crochet the edging around this one and not sure I will with my next one either. I think this is a beautiful afghan and can’t wait to see how the next one turns out, I will be using a size I hook. 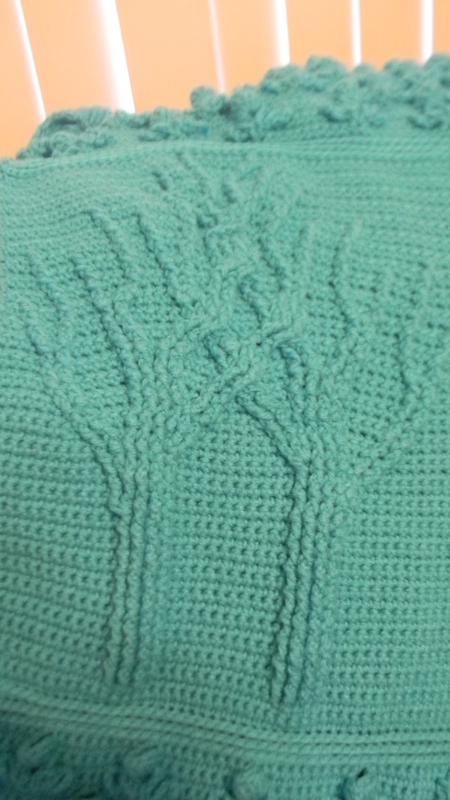 There is a link on the pattern that also shows a knitted version. 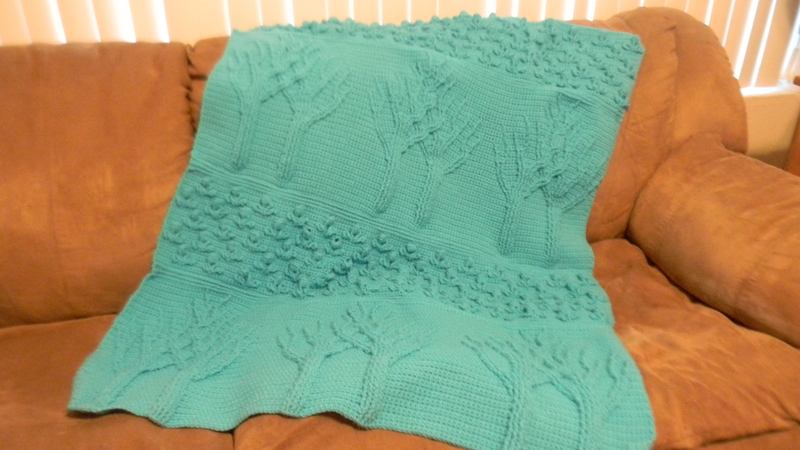 This entry was posted in Afghan, Crafts, Crochet, Posts and tagged Crocheted Afghan, Free crochet afghan pattern, Tree of Life Afghan. Bookmark the permalink. My goodness! That is beautiful. It looks like it would be a lot of work. Love the color too! I crochet really fast but this one took a couple of weeks because I had to pay attention. I am not good at paying attention, so took a lot of breaks.